OVER the last 50 years, Singapore has fared well on many fronts when it comes to gender equality. Singaporean women today have equal access as men when it comes to areas such as education, health care, jobs and protection from violence. All these factors have, and will continue to be, crucial to the country's economic progress down the road. 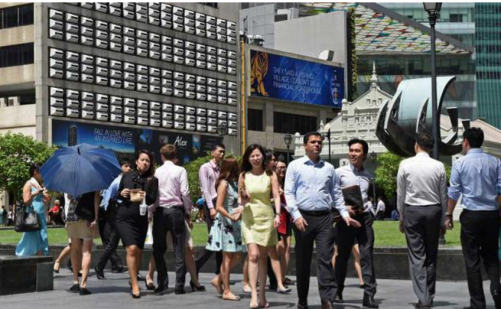 According to Singapore's labour force statistics for 2014, the employment rate for women is at one of its highest levels on record - 76 per cent for the prime working ages of 25 to 54. One area where Singapore has not scored so well, however, is the number of women in corporate boardrooms. According to a new report released on Wednesday by Deloitte Global, women here take up just 9 per cent of all board seats, which is not only low but also below the global average of 12 per cent. Only 7 per cent of leadership positions in Singapore's boardrooms are held by women, higher than the worldwide average of 4 per cent, but this is hardly a number to be proud of. Singapore's situation is not unique in the region. Across South-east Asia, the percentage of board seats taken up by women is in the single-digit range for each country, much lower than the European nations with Norway leading the pack at 36.7 per cent. As advanced economies go, Singapore falls far short of the norm. Like most other countries, Singapore does not have gender quotas for boards or for senior management positions, and rightfully so. The topic of gender quotas is divisive. While it is an easy way to increase female representation at high levels of corporate life, many argue that having women appointed as board members, CEOs or chairman should not be a token act, but should be based on merit; the deciding factor should be the person's capability and fitness to serve, regardless of gender. Among Asian countries, both India and Malaysia have passed laws requiring corporate boards to appoint a certain number of women. India's law requires listed companies to appoint a minimum of one woman to their boards, while Malaysia has stated that female board representation must reach at least 30 per cent by 2016. But quotas can, at best be a quick-fix solution, and an unsatisfactory one at that. They can lead to women being appointed to boards just to make up the numbers. In some cases, even female relatives of shareholders or management have been appointed. That Singapore's women aren't as well represented at a company's highest levels is not a new issue, but it remains vexing. There are many good reasons to have more women serving on boards. For one, it's a known fact that women make the vast majority of consumer purchasing decisions, not just in Singapore but almost everywhere else in the world. For boards of companies, especially in consumer-related industries, it is a big loss if female views are not heard or do not adequately influence company policies and strategies. Corporate Singapore can only stand to benefit from a board and senior management that is diverse - not just in terms of gender, but also in culture, backgrounds and work experience. Companies should go the extra mile to recruit more women - both to the ranks of their top managements and to their boards. And they should do this not just to make the numbers look good or because it is the socially correct thing to do, but because it is in their own commercial interest.